There are certain things you expect to see on a highway. These things may not necessarily belong there, but their presence isn’t the most outlandish thing you’ve seen all day. We’re talking about litter, perhaps a family of ducks trying to cross the road safely, and maybe even a … snow leopard? If that last one has you scratching your head, know that we are just as confused as you are. As animal lovers, we do not understand why anyone would take a majestic animal like a snow leopard and reduce their existence to a cage on the side of a busy highway. Unfortunately, despite the absurdity of it all, so-called “roadside attractions” like this still exist. As you can see in the video, the animals that are used in these ridiculous attractions are constantly stressed from being prodded and poked by visitors. The snow leopard in this video had to live in these terrible conditions for four whole years and as you can see by the way she roars in anger, she was not happy about it … at all. 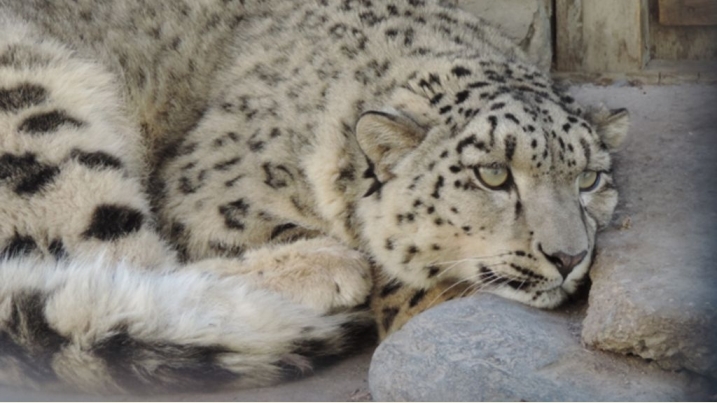 Thankfully, the kind people from International Fund for Animal Welfare (IFAW) located this snow leopard and moved her to a quality sanctuary where she will finally get the kind of care she deserves. While the ideal situation would have been for this snow leopard to have never left her natural habitat, we are glad that she is finally out of that cage and roaming around like all wildcats deserve. Responses to "Snow Leopard Who Spent 4 Years Living as a Roadside Attraction is Finally Safe"
If it were not for morons, this would not have happened. People don't use their heads because they figure everything on this land is there for heir's to use. Therefore they think nothing of stopping and paying to see this. And the assholes that cage them know all about this fact and it pays off for them. Laws, we always need laws. Pathetic. look so wonderful on the screen, but the fact remains that even today this may be the most vandalised snow leopard on earth.